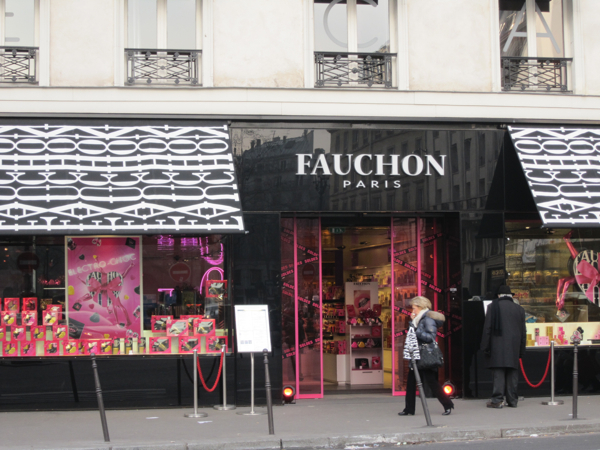 Why the hell do some travel guides call Fauchon "one of the city’s most popular sights”? Probably because the people writing guides do not necessarily live in the cities they write about and might not have been there for a while. 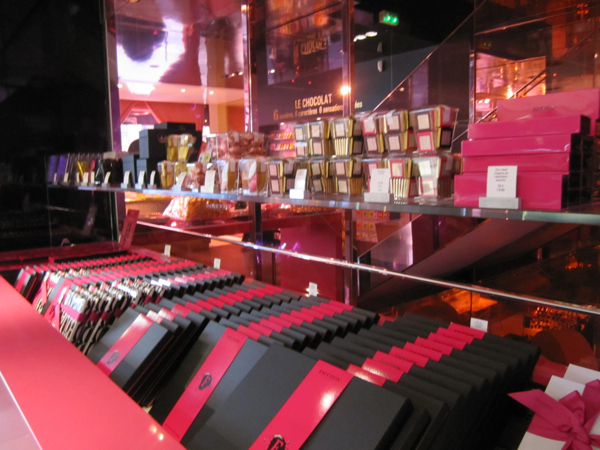 But since alot of people still think the same way and are convinced that Fauchon is the “most iconic food store” in Paris, a must-see (and must-taste), we better talk about what Fauchon used to be and what it is today. Indeed there is the history and the myth: Fauchon, founded by a pushcart grocer named Auguste Félix Fauchon, opened its doors in 1886 at Place de la Madeleine. 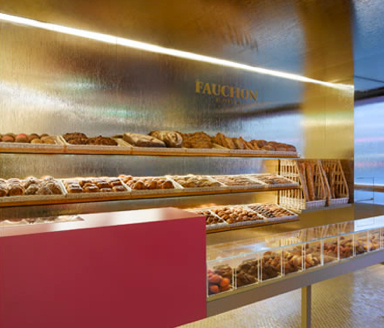 Thanks to the variety and quality of its products, Fauchon quickly became Paris’ best known and indeed most exquisite food market. The name stood for exquisiteness. No wonder that not only the Duke and the Duchess of Windsor made forays to Fauchon’s. Alas, these days are over now. During the last few decades, alot of people tried to make money with Fauchon and even succeeded in losing alot. The company has changed hands several times. Read the Wikipedia entry on Fauchon and you’ll find only a few words about foie gras and much more about shareholders, holdings, new companies based in Luxembourg you name it. Meanwhile, Michel Ducros (son of a famous French spice trader) owns 90% of the business. Under his management over 700 jobs have been eliminated and a lot of money lost. He sold all the Paris venues to his main concurrence (Lenotre) and just kept the flagship-store at la Madeleine in Paris. Ducros changed strategy and concentrated on expansion abroad. He even reintroduced the Fauchon brand at mass-market retailer like Carrefour. So, what’s left? To be very honest: a name, a myth and the prizes. When you enter the flagship store at La Madeleine, which occupies two huge buildings, it still looks amazing: pink packaging wherever you look, countless sorts of teas, vinegars, jams. On the other side of the street you’ll find the delicatessen and pastry store. There is, of course, a traiteur selling cheeses, terrines, pâtés, caviar. You can have (an overpriced) lunch here or take away whatever you want, to eat on a park bench. The bakery is a chic snack place where you can eat in, the walls all painted in gold. This is bling-bling at its best with amazing looking patisserie presented like jewellery: Paris-Brest, Éclairs, Macaroons, they are good, they are delicious, but in general not the best you can get in Paris. Somehow Fauchon and the France of Sarkozy fit very well together.